RossTarrant Architects, Inc. was founded in 1970. The company began as James A. Ross and Associates, was later incorporated as Ross-Feldman Architects, Inc. in 1987, and was renamed in 1995 when Martha Tarrant became Vice President. The firm has established itself as a specialist in educational design—with educational projects accounting for more than 95 percent of the firm’s workload. With more than 35 years of experience, the firm has completed numerous successful primary, secondary and post-secondary projects across the Commonwealth of Kentucky. RossTarrant Architects is known for its ability to interpret, design and oversee the construction of quality facilities while responding to diverse program requirements. As our clients will tell you, we have a long history of responding to owner needs with designs that meet their individual goals, schedule and budget. Our original approach to programming and design ensures that each project has distinctive qualities which go beyond the building components. Our ability to synthesize the basic facility elements into an attractive, cohesive design results in projects which continue to serve our clients effectively both now and well into the future. At Ross Tarrant, sustainability is not just a design concept it’s a way of life. In addition to holding each project to the highest standards in terms of energy efficiency, water conservation, and environmental stewardship Ross Tarrant strives to practice what they preach by integrating these practices into their own workspace. In doing so, the firm not only increases efficiency and lowers their environmental impact but also serves as a living showcase of the green building principles that play such a fundamental role in their work. Touring the facility, prospective clients and visitors alike are able to see these practices in action and gain a deeper understanding of how these initiatives can go from concepts on paper to real world applications with significant impacts. 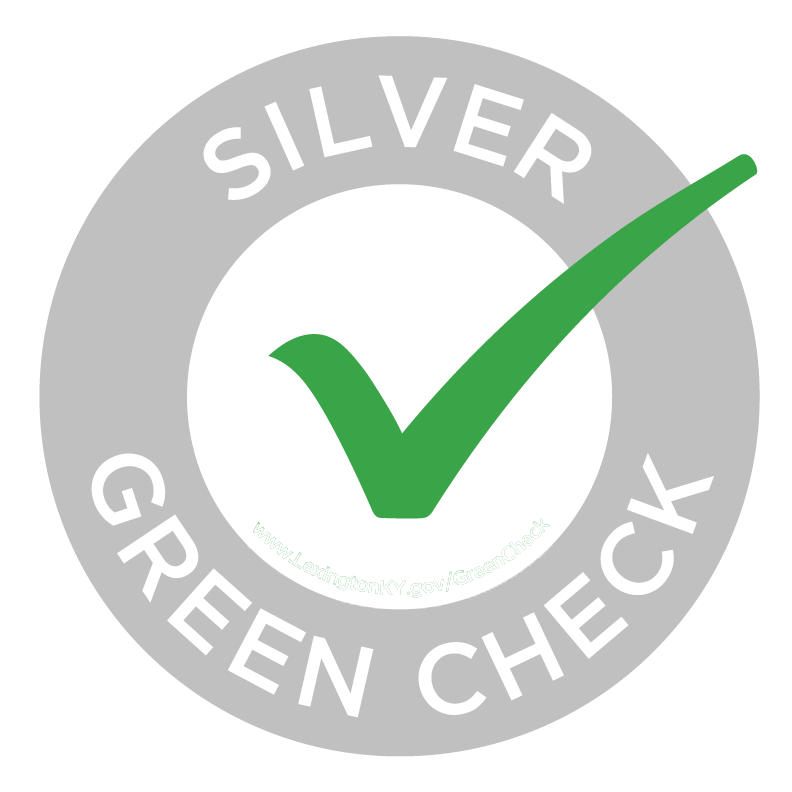 Diverse, cross sectional Green Team ensures that each division of the organization is involved and invested in the development and implementation sustainable initiatives. Sustainability tips incorporated in employee information board as well as regular newsletter updates to staff. Informational plaques throughout office highlighting sustainable initiatives for visitors as well as tips for employees to incorporate into their personal lives. Participation in multiple community events (Lexnigton Park(ing) Day, career fairs, etc.) highlighting sustainable initiatives. Utilization of EPA’s ENERGY STAR Portfolio Manager to track, assess and document monthly energy consumption. Installation of high efficiency Low-E coating windows to decrease airflow and energy loss. Smart sensors detect lighting levels and adjust accordingly to increase daylighting and reduce energy used for lighting by 50%. Instillation of “Light Tubes” that channel outside light through a lens that reflects and diffuses it throughout the workspace, greatly reducing need for electrical lighting. Solar panels on building utilized to supply hot water for entire building. Instillation of high efficiency low-flow, dual flush toilets and aerated sinks with automatic shut offs decreasing water consumption by 20%. Water retention and distribution system collects and holds water from basement sump pumps and storm water for later reuse in irrigation system saving more than 1,750 gallons of water per year. Integration of native, drought-tolerant plants into landscaping reduces irrigation needs and provide natural habitat for pollinators and other species. Parking lot designed with combination of pervious pavers and permeable concrete to reduce storm water runoff and pollution thereby enhancing water quality. Partnership with SeedLeaf for office based composting. Also contracted with Klausing Group to compost yard waste. Comprehensive office-based recycling program with desk side bins and ample information throughout office space. Plans to undergo major lighting overhaul to replace current CLF bulbs with higher efficiency LED bulbs throughout the facility. Future goals to achieve zero waste to landfill through expansion of recycling and composting efforts.